I had the pleasure of going to Southern Tier for their groundbreaking last summer. It was truly a momentous event filled with celebration and excitement. The Pittsburgh brew pub is the first location Southern Tier has opened outside of their flagship brewery in New York. Apparently the Pittsburgh market has responded well to their brand. I actually consider Southern Tier to be one of my favorite breweries. They have one of the best pumpkin beers on the market and, in my opinion, their 2X IPA really set the standard in terms of bringing IPAs to the public. 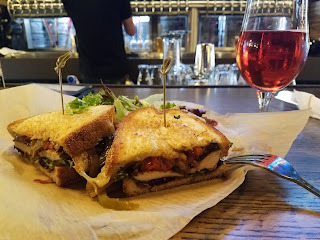 Pictured above with my sandwich is the cherry gose - a delightful cherry flavored sour beer that was available for limited time. Unfortunately, I do not have anything positive to say about the kitchen at Southern Tier. It emphatically states on the Southern Tier website, "We take our food as seriously as we do our beer." This statement is a bold lie. The food at Southern Tier is extremely underwhelming - particularly in comparison to their world class beer. The other dishes on the Southern Tier menu also appear extremely uninspired. 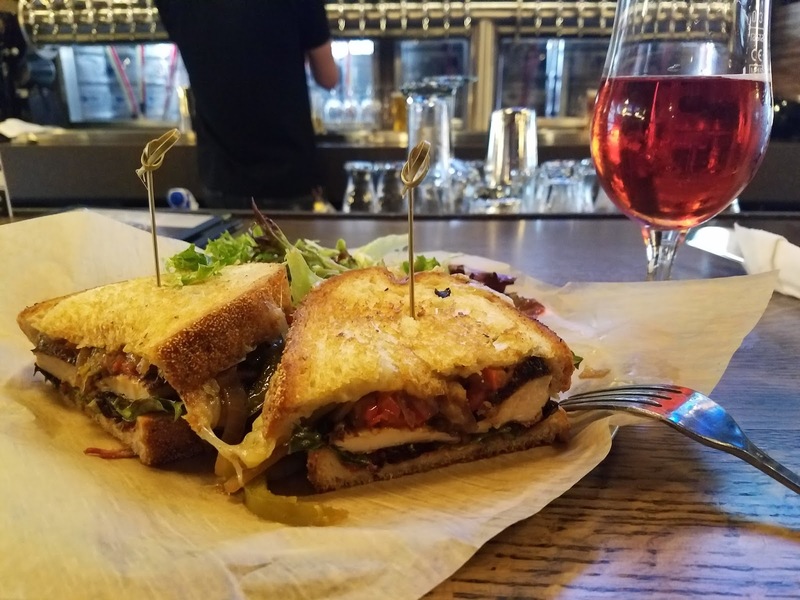 (A simple bar man's menu of sandwiches and lackluster entrees.) For a brewery that goes out of their way to serve extraordinary beer, they sure slacked on the kitchen. 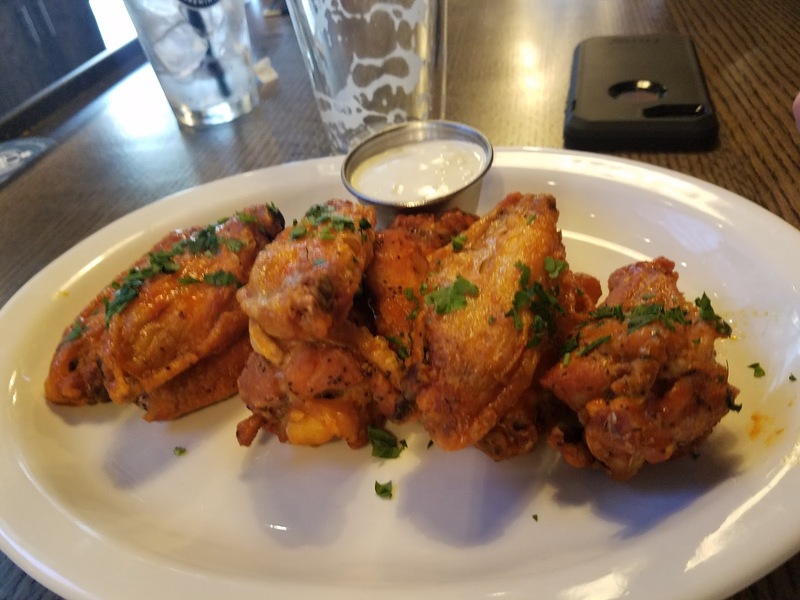 These wings actually weren't too bad! But, I'd still rather eat at a Bojangles or Fuddruckers.